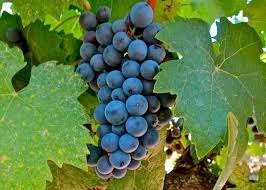 I used both Earth Right Super Stuff® and The Mushroom Stuff® on my 2 1/4 acre grape vineyard. My vineyard sits on a hillside that has little topsoil and a lot of clay. Water drainage is an issue for me. Grapes do not like wet feet. I have been looking for a solution to this problem short of pulling up my plants. It was suggested to me that I try Earth Right Super Stuff® and The Mushroom Stuff® as they are supposed to help with soil tilth, water penetration, root establishment, and soil health. I applied both products this spring. I believe that my soil tilth has made some improvement this year. I also think that I am seeing less water runoff after a rain than I did before applying these products. These are both positive results.